You don’t have to be at Augusta this week to win BIG! Here’s a quick list of local courses doing facebook contests during Masters Week. Good luck everyone! Book tee times online at www.InsideEdgeGolf.com then show this coupon at check-out to get this special offer. Save 25% off during Masters Week! Watch golf AND tee it up! We'll have the Masters on the TVs and WiFi so you can stream it on your phone or laptop. 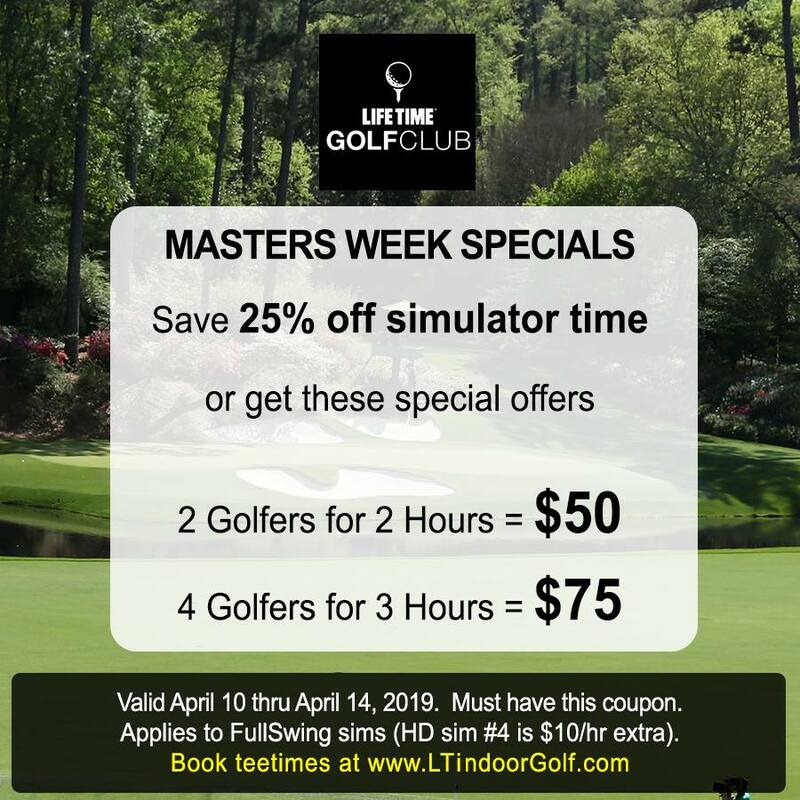 Book online at www.LTindoorGolf.com then show this coupon at checkout to get 25% off simulator time today through Sunday April 14.